The House Public Integrity and Ethics Committee has launched a probe into the University of Central Florida’s (UCF) improper use of $52 million in operating funds to pay for campus construction projects. The real focus of the investigation, however, may not be limited to how UCF misappropriated money for capital improvements but the spending procedures of all 12 state universities. State policy restricts the use of operating funds allocated to universities by the Legislature to pay for activities such as instruction, research, libraries, student services or maintenance. State auditors in August revealed UCF, the state’s largest public university, used $38 million from a carry-forward account in its operational funding over a four-year span to build its 137,000-square-foot Trevor Colbourn Hall. As a result of the revelations, the Florida Board of Governors, which oversees the university system, has called for all 12 universities to review their capital improvements funding over the past decade, especially in reference to the use of "carry forward" fund balances, and to assess their auditing processes. The board addressed the misuse of the money in an August meeting in which UCF President Dale Whittaker acknowledged the "improper use" of the funds and said the school had replaced the money. Whittaker said the school had taken steps to prevent future issues, beginning with the resignation of UCF Chief Financial Officer William Merck and hiring an Atlanta law firm, Bryan Cave Leighton and Paisner, to independently investigate the issue and submit a report by Jan. 24. The board is expected to review the report at its Jan. 30 meeting at Florida International University. But former House Speaker Richard Corcoran, recently appointed by Gov. Ron DeSantis to be the state’s Commissioner of Education, was not satisfied with leaving the board to exclusively deal with the matter. In August, he appointed current House Speaker Jose Oliva, R-Hialeah, to spearhead an investigation into who was "aware of and conspired in this misuse of public funds." Oliva, in turn, instructed the House Public Integrity and Ethics Committee to conduct the investigation. 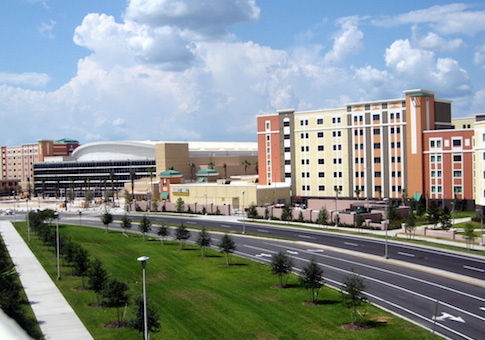 Corcoran said in a letter to Whitaker that, while it appears Merck "willingly concealed this improper source of capital improvement funds" from UCF’s Board of Trustees when it approved the Colbourn Hall project in 2014, "this occurrence is one more example of mismanagement of taxpayer funds by public entities, and it has tarnished the reputation of UCF." During a pre-session primer last week in Tallahassee, the matter was discussed before the House Public Integrity and Ethics Committee as well as the Higher Education Appropriations Subcommittee and the Higher Education and Career Readiness Subcommittee. Integrity and Ethics committee member Rep. Colleen Burton, R-Lakeland, noted the misappropriation has been acknowledged and addressed with revised policies, reimbursements and resignations, so it is uncertain what, exactly, the panel is being asked to investigate. "Rep. Burton hit it on the head, how do you cure an admitted violation of the public trust?" said committee chairman Rep. Tom Leek, R-Ormond Beach. "I don’t know that there is an easy answer. I will say nothing is off the table and nothing is decided. As we move through this, hopefully that answer will become clear to us." "Preliminary findings" by state auditors indicate UCF "engaged in a multi-year strategy to set apart and expend $84.7 million" in operating funds for construction projects in violation of state budget policy, Leek said. That $84.7 million includes $38.2 million UCF spent to build Colbourn Hall and $13.8 million for another eight construction projects, he said, adding the school also shifted $32.7 million in operating funds into a capital improvements account but did not use it. Leek said UCF administrators — primarily the since-resigned Merck — "did not clearly disclose the funding sources" for the construction projects to the school’s board of trustees and appear to have "misrepresented" in annual reports to the Board of Governors on the use of "carryover" funds, money unspent in a prior year but available for use in a current budget year. Although Merck has taken the blame and resigned, Leek noted that former UCF President John Hitt, who retired in July, and Whittaker, the school’s former provost who succeeded Hitt, signed those reports.